Check our out full written review of the Samsung Galaxy S3. The ongoing legal battle between Apple and Samsung took a worrying turn yesterday, as Apple’s lawyers filed a motion for permission to add the forthcoming Galaxy S3 phone to an existing lawsuit, which already covers the Galaxy Nexus. According to Fosspatents.com, Apple purchased a Galaxy S3 in the UK at the end of May, and has been examining it ever since. It has concluded that like the Galaxy Nexus, it infringes on several of the company’s patents, and that it should be blocked from going on sale. The Galaxy S3 is already out in several countries, and has recently been given a tentative June release date in North America, when Samsung received plaudits for signing launch deals with five different carriers. This followed the news that Samsung had attracted more than nine million pre-orders for the S3, a fact Apple also included in its motion, as if to alert the courts that Samsung is set to make a lot of money from the new phone. So what’s Apple’s problem with Samsung’s latest device? It has so far listed two patents as being problematic — data tapping and unified search. The reference to unified search is the most interesting, as this apparently refers to the technology which powers Siri, indicating Apple is targeting Samsung’s S-Voice feature. Will the Galaxy S3 be banned? 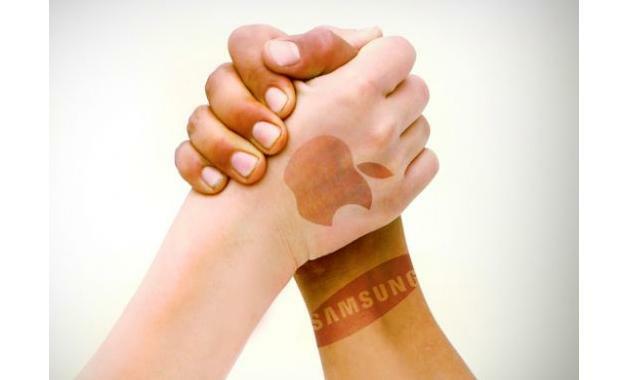 There were hopes Samsung and Apple would overcome their differences and shake hands recently, when the court ordered the warring companies to sit down and come to an agreement. The discussions ended with no agreement being reached. This, along with this latest claim against the Galaxy S3, doesn’t seem like the behavior of a company led by a man who “hates litigation.” Of course, Tim Cook then added a caveat of “we need people to invent their own stuff” to his statement. The decision over whether the Galaxy S3 is added to Apple’s existing lawsuit lies with the court, however Samsung remains optimistic and has said it wants to “assure consumers that the US launch and sales of the Galaxy S3 will proceed as planned.” Let’s hope it’s right.